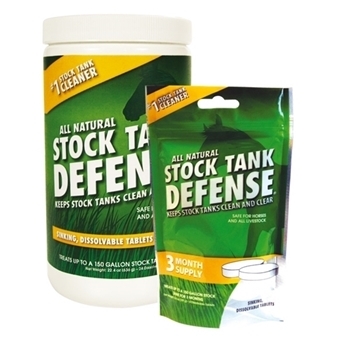 Airmax Stock Tank Defense contains all natural beneficial bacteria specially formulated for stock tanks. This all natural product will keep stock tanks clean, clear and healthy. Easy-to-apply no-mess Stock Tank Defense tablets are completely safe for horses, livestock, birds, fish & wildlife. Six tablets of Stock Tank Defense treats a 150 gallon stock tank for up to 3 months. 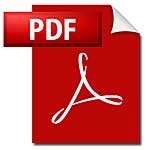 Use 1 Stock Tank Defense Tablet for every 150 gallons of water. Simply toss the required number of tablets into each stock tank. The tablets will instantly sink to the bottom of your pond and begin to dissolve. For best results, first clean the stock tank and remove any sludge or debris. Apply once every 1-2 weeks or whenever a complete water change has been made. For best results, use when water temperatures are above 50°F. 6 tablets treats 150 gallon stock tank for up to 3 months. 24 tablets treats 150 gallon stock tank for up to 12 months.